WHO I AM (part II) - Find the Seeker! Who am I? This question has occupied the hearts and minds of people since time immemorial. Let it be said up front: it is not possible to be in “possession” of truth, nor the knowledge of one’s own self. It is necessary to strive to achieve this “breakthrough” which transcends our intellect and mind. In the Absolute, the mind does not really have much to do with truth and is often an obstacle to it. Intelligence and logic are only a part of the Tao. The wholeness in the Tao, where there is nothing on the outside, encompasses everything. The Tao does allow for realization. However, this realization eludes a description of form, and all words have a form. The realization in the Absolute that can be “attained” is above and beyond every form, and every possibility to convey it orally or in writing, or through language. It can only be conveyed from heart to heart. This is the essence of what all the masters say – notwithstanding the masters, who, in their compassion for their fellow human beings, use words to express what cannot be described, explained or named. Ultimately, as is stated repeatedly in the Sermon on the Mount, people should take heart and not be afraid. Instead, they should rejoice because you already are “it”. In Sanskrit, in Yoga, the oldest school in Hinduism, it is stated “Tat Tvam Asi” – You Are That. You are the Absolute, the Eternal – without a beginning or end. The same is repeated in the Bible when by the thorn bush there is the statement: I AM THAT I AM. This says nothing but contains everything. Every additional description about what your identity could really be or what you would want to be cannot come close to how “I AM” or simply “AM” reflect what Is. 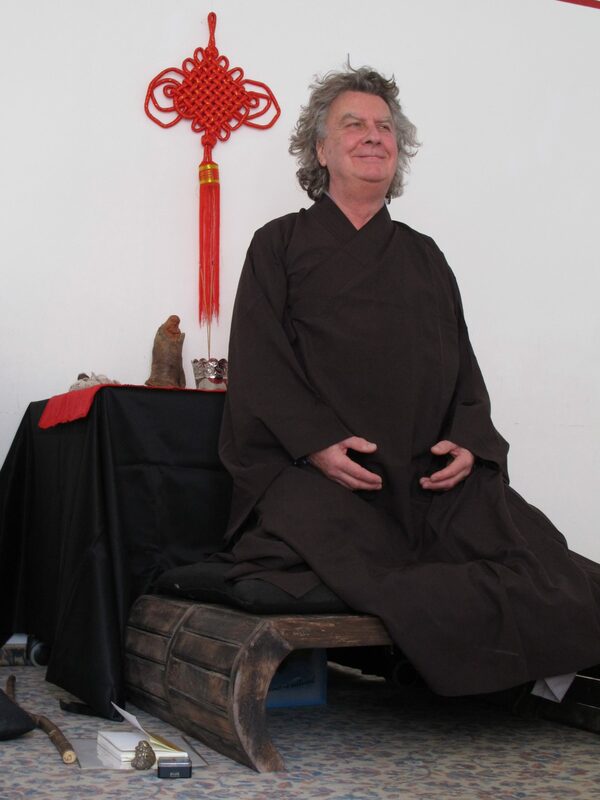 *Genro Xuan Lou, Laoshi, one of the few living Zen Masters, has also worked as a therapist, university lecturer, consultant and teacher of Zen, meditation, Qi Gong etc. He is co-author of the recently published highly-acclaimed spiritual self-help book Find the Seeker (Amazon link: http://bit.ly/find-seeker). More information is available on the Website (www.findtheseeker.com).